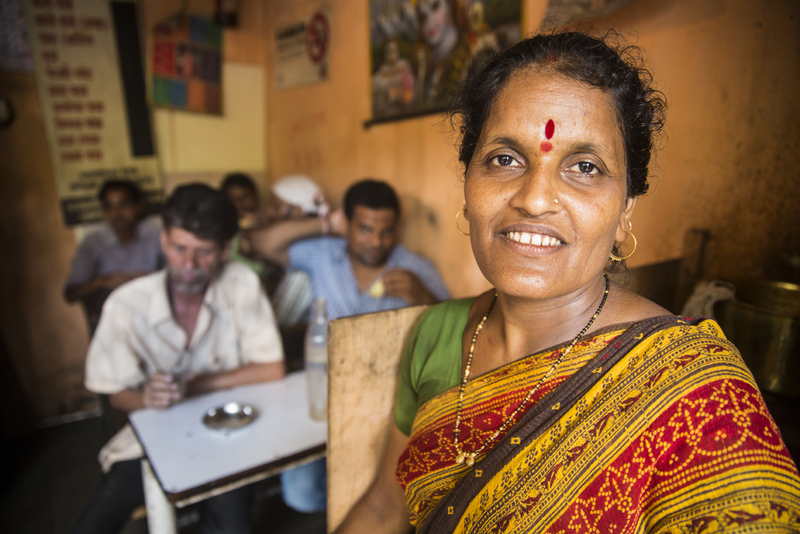 Swadhaar FinAccess was established in Mumbai, India in 2005 as a nonprofit entity offering microcredit. Since then, it has grown and expanded its offerings, and currently operates as a subsidiary of RBL Bank, an Indian commercial financial institution, providing loans and savings products to low-income households and entrepreneurs. Swadhaar’s founder, Veena Mankar, remembers her parents often saying that she had “an obligation to open doors for those less fortunate.” After four decades of working in the financial services industry, she started Swadhaar to fulfill her dream of using her experience to expand financial inclusion. Swadhaar started by offering need-based loans with a group guarantee to women microentrepreneurs. In 2008 it sought to also serve the “missing middle,” businesses that are traditionally ignored by larger financial institutions, with a capacity-based individual loan product. This addition was not easy, as individual lending products were fairly new to the Indian microfinance market. The higher level of risk associated with underwriting individual loans increased transaction costs and interest rates. When a 2010 microfinance industry crisis in the Indian state of Andhra Pradesh led to increased regulation of interest rates, Swadhaar had to halt serving the “missing middle,” as the new requirements no longer made the product it offered viable. It needed to develop a new business model. Meanwhile, RBL Bank, wanting to build on its success in micro, small, and medium-sized enterprise (MSME) loans by expanding its reach into the microenterprise segment, turned to Swadhaar to form a strategic business correspondent relationship through which it could source microloans. Faced with so many changes, Swadhaar, which had a longstanding relationship with Accion, asked Accion’s advisory team to help evaluate institutional readiness. Before introducing new products and partnerships, Swadhaar needed to build capacity, standardize its appraisal methodology, and streamline labor-intensive procedures. Creating efficiencies in internal processes was key to lowering operational costs and offering new financial products. A specialized team from Swadhaar, Accion, and RBL began by mapping the existing steps of the credit process: its sales, evaluation, methodology, approval, disbursement, and recovery procedures. The team also conducted data landscaping to understand how other players and competitors structured their processes. Having worked with numerous financial institutions in other emerging markets, Accion was able at this stage to contribute its expertise on best practices from other places that could be adapted to the Indian context. One important element was implementing digital field applications (DFAs) for loan officers. This would reduce paperwork, lower operating expenses, and decrease loan processing time. Accion worked with Swadhaar to define its requirements and prepare a shortlist of potential vendors. The vendor selected, Artoo, won out over some more established providers because it was able to produce customized technology at a cost-effective price point. The advisory project also focused on process design so that Swadhaar could replicate and implement the new technology and procedures across its branches. Accion worked with Swadhaar to train loan officers on how to offer the new MSME product to clients, and then tested and adjusted the product to ready it for wider expansion. Seeing the growth potential in their partnership, in 2017 RBL Bank and Swadhaar merged their MSME sales and credit teams. The process involved extensive coordination among the teams at Swadhaar, RBL Bank and Accion to ensure that this was completed with minimum impact to the business. A year later, the new MSME product was available in 112 branches across India, with loans ranging in size from USD $1,100 (INR 75,000) to USD $36,500 (INR 25,000,000). This engagement is just one of the many projects that Accion Global Advisory Solutions has completed with Swadhaar throughout years of close partnership. It now serves as an example for other companies preparing to navigate major institutional changes while ensuring operational efficiency.